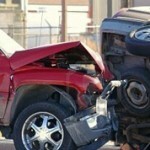 Motor vehicle accidents are a common cause of personal injury. Their impact ranges from the inconvenience of property damage to serious injury or death. If you have suffered injury in a car, truck, or motorcycle accident you may be entitled to compensation. At the personal injury law firm Bristol & Dubiel LLP, we represent motor vehicle accident clients throughout Texas and Oklahoma. We know our clients expect the highest quality legal representation from us. We strive to exceed these expectations. Contact us to arrange a free initial consultation with an attorney experienced in handling motor vehicle accident claims. The circumstances surrounding the collision, the conduct of the drivers involved, the nature of the injury suffered and the available automobile insurance impact whether compensation is available. Our firm has the experience necessary to evaluate the issues of liability and damage, protect your rights and maximize the compensation you receive. We are diligent in seeking favorable results for our clients and will spare no expense in developing the strongest case to bring to court. We are known for our innovative presentation of evidence. Bristol & Dubiel LLP will represent individuals who have suffered spinal cord injuries, brain injuries, paralysis, disfigurement or loss of limbs. We also help families that have lost loved ones in fatal accidents pursue wrongful death lawsuits. If you would like to speak with an aggressive and dedicated North Texas and Oklahoma personal injury attorney at Bristol & Dubiel LLP, contact us to arrange a free initial consultation.